Welcome to Straight Outta Gallifrey! Here is the second episode of Series 18, Meglos. Tom Baker is playing a dual role, Jacqueline Hill has return to play as Lexa. and a Cactus-like villain. What else could you want in a Doctor Who episode? Although I wasn't able to extract much from the story pertaining to Romana, the other Time Lord, or Time Lady, I still enjoyed this serial, but I just couldn't add to the conversation, really. 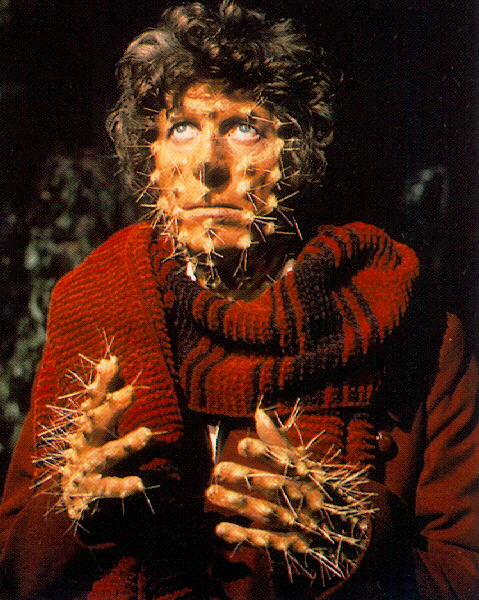 And again, Tom Baker looks wonderful in his new threads. We would love your feedback. We would like to read your comments on the podcast. Subscribe and rate us on iTunes, Please.